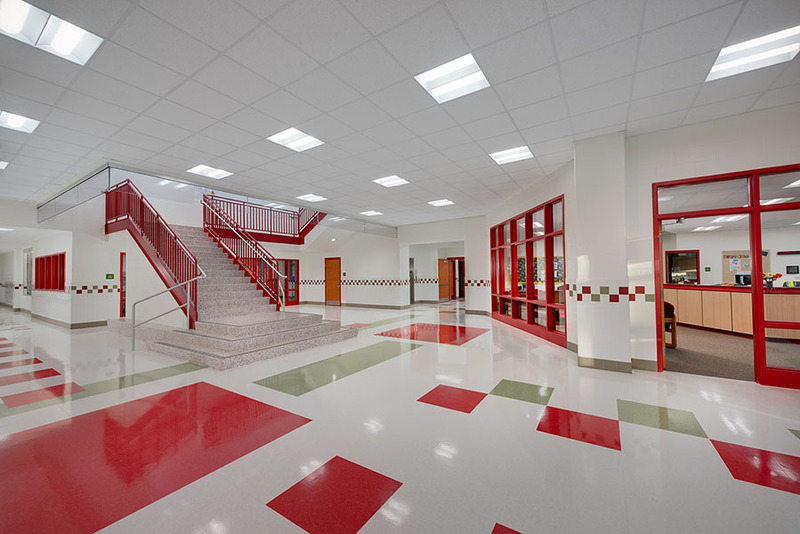 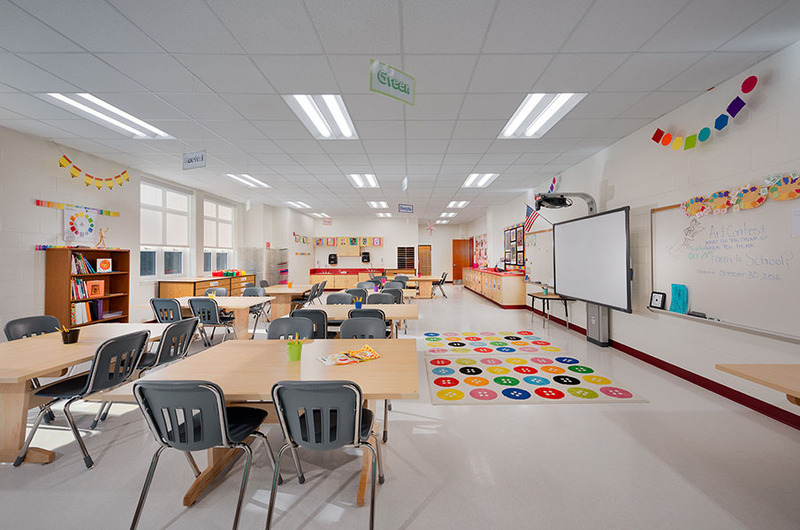 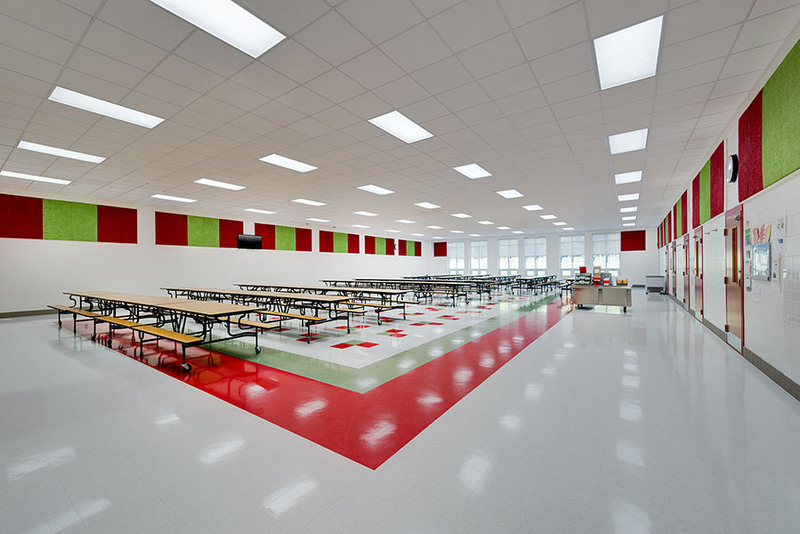 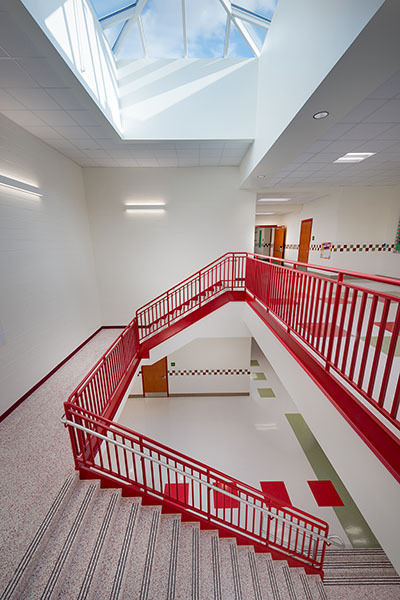 Madison’s Trust Elementary School (ES-27) is a new elementary school site adaptation for Loudoun County Public Schools. 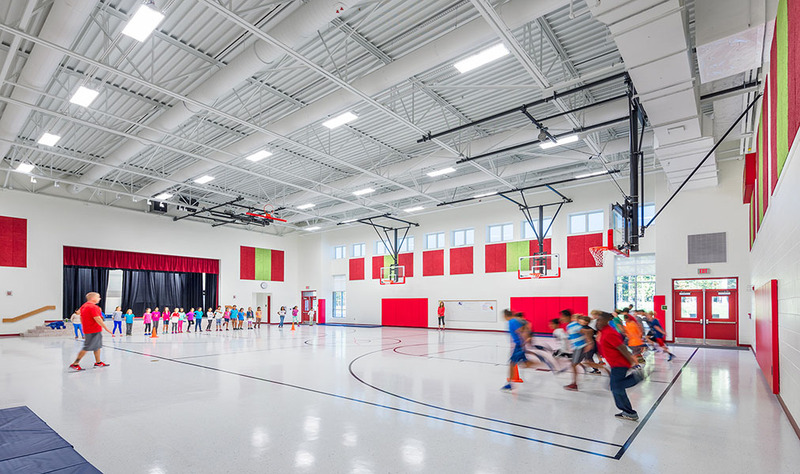 This 875-student capacity, prototypical K-5 elementary school contains a total of 106,000 sf and opened for the 2016 school year. 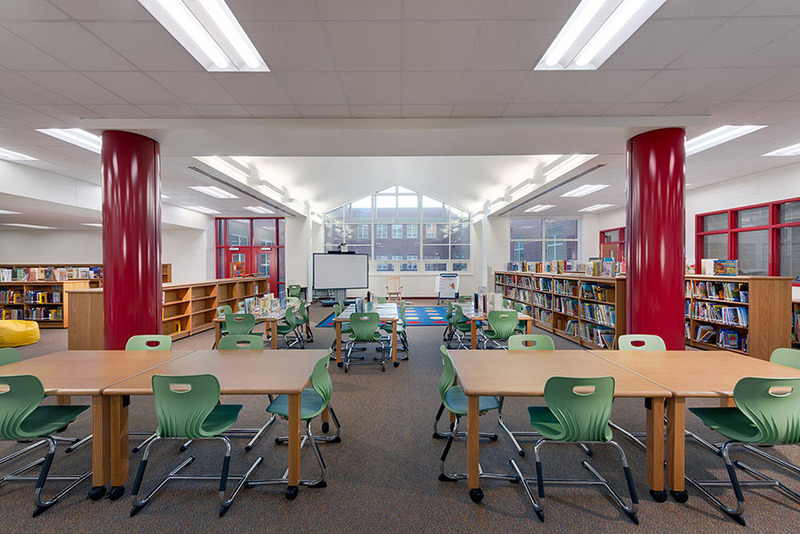 The school’s two-story configuration provides natural daylight to all classrooms with rooms lining the building perimeter and flanking a central educational courtyard. 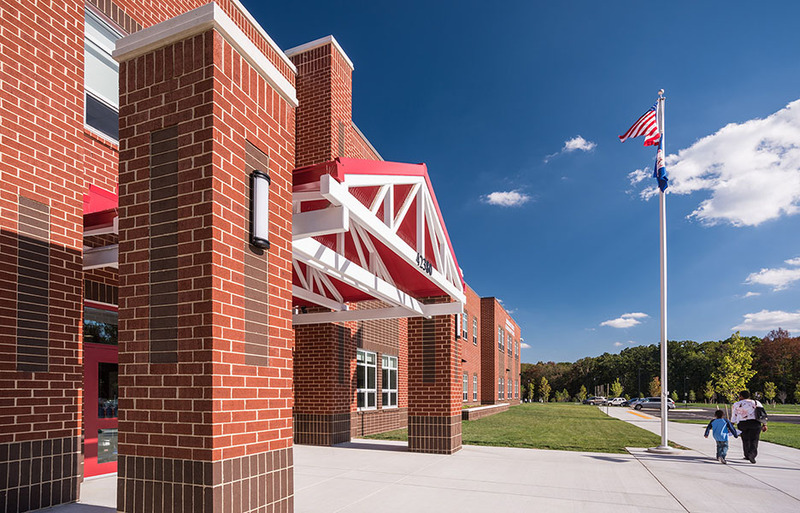 The school’s colors of red and green are used throughout, reflected in the exterior entrance awning, stairwells, and finishes within the school. 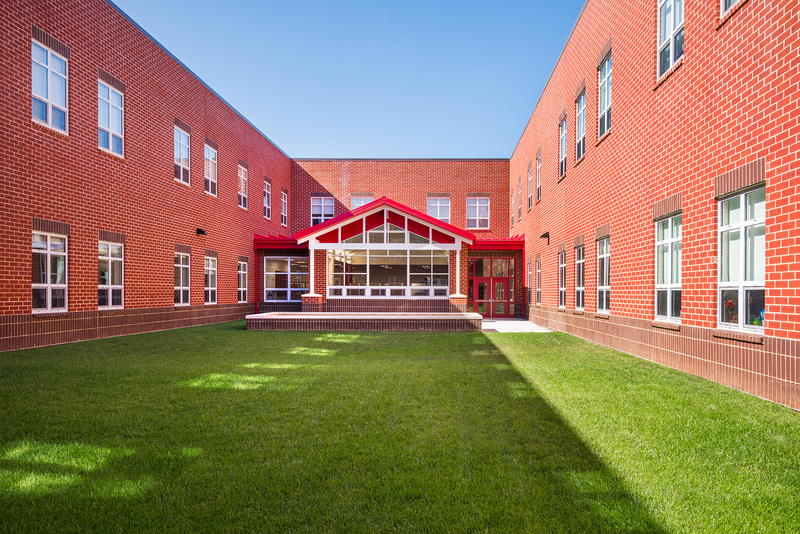 The steel framed and masonry bearing structure includes brick clad CMU exterior walls. 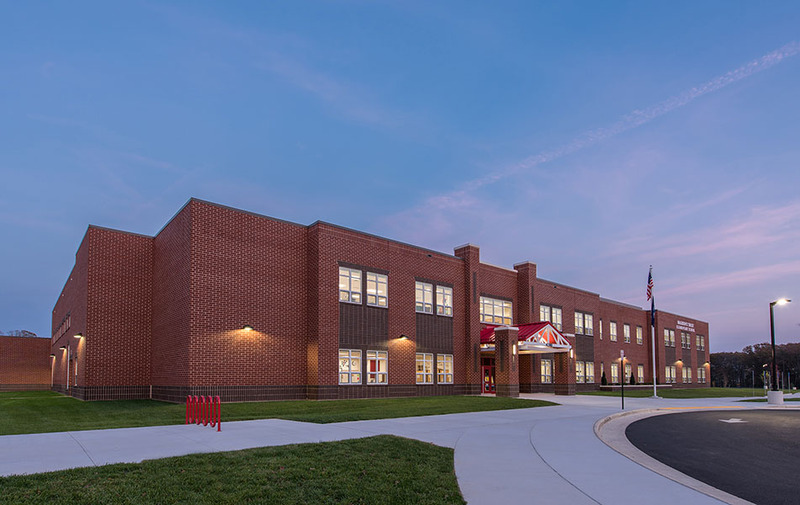 The brick façade gives the school its classic architectural character, an emphasized element for the prototype.